Erica Silverman is one of my daughter's favorite authors, and one of my favorite people. 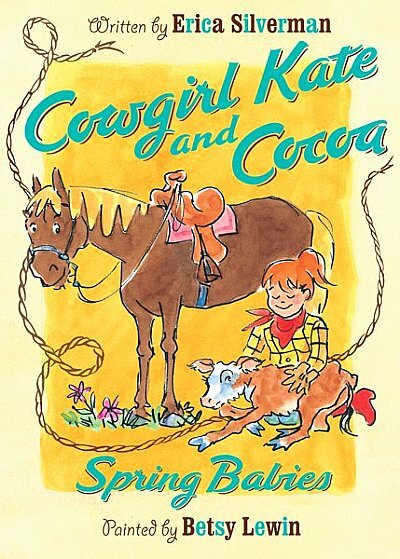 A children's book author who's written amazing picture books like "Don't Fidget A Feather"
as well as the completely lovable chapter book series "Cowgirl Kate and Cocoa,"
***correction - #6 just came out this Spring, "Cowgirl Kate and Cocoa: Spring Babies"
Erica is also a part-time librarian, with a front-row seat of the crisis facing the city of Los Angeles' libraries. I saw her at the Society of Children's Books Writers and Illustrators recent 2010 Summer Conference here in Los Angeles, and she told me something stunning about the value of libraries. Libraries are critical for writers, for our children, and for our society. Great stats from Erica - a wonderful writer, teacher, librarian and human being. Stunning figures. And moms also owe a lot to our libraries. 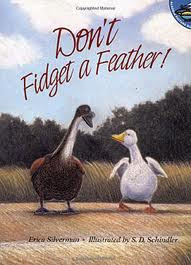 When my kids were younger I took out ten picture books a week...at an average cost of hmmm maybe 12 bucks a book....well let's just say if I'd been buying them, my kids would be a lot less literate than they are today. Thanks Lee, for getting this on tape. It sure puts the value of libraries in perspective. As a child I practically lived in the library and might not have my love of books if I hadn't had access to so many, so easily.